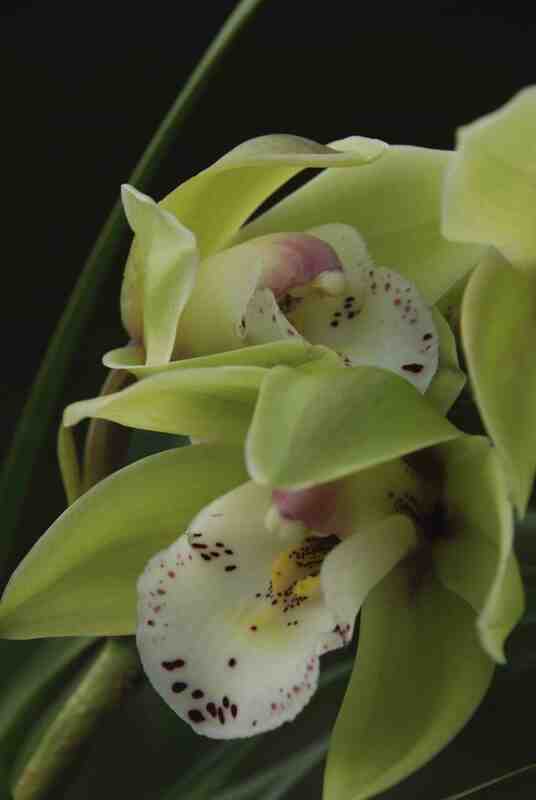 The last two orchid posts dealt with an orchid that likes warm conditions (phalaenopsis), the next that likes intermediate conditions (brassia) so it seems logical to deal with one that likes cool conditions next. Cymbidiums used to be the most common and best known of all orchids and their flowers were used for corsages and you could buy a single bloom in a fancy box for Mother’s Day (in Europe). They can certainly be spectacular with their long spikes of distinctive flowers in a wide range of colours but concentrated around pinks and whites with an occassional excursion into yellows and greens, often spotted with purple on their lips. Despite their popularity, and they are common in garden centres, they are not the best houseplants, in centrally heated homes, because they are not delicate princesses but tough milkmaids. Every year a plant will make new shoots in spring with a plump pseudobulb at the base. How well your plant flowers the next year depends on how strongly these new shoots grow. High temperatures in winter, poor light and lack of feed all weaken the plant. In spring start feeding your plant, ideally with a high nitrogen fertiliser and keep it in good light. In summer you can put the plant outside, in light shade, and then switch to a high potash feed. Make sure you bring the plant inside in September and check the pot for slugs or, when the flower stems are produced in late winter they will eat them! Keep the plant cool in winter, down to 8c is fine, and stop feeding and water less often but do not let the plant dry out. With care and luck your plant will make a new flower stem from each new shoot. The flowers last up to two months but much less if the plants are in a hot room. Some people recommend cutting the flowers off after a month, to reduce the strain on the plant. They should last a few weeks in a vase. 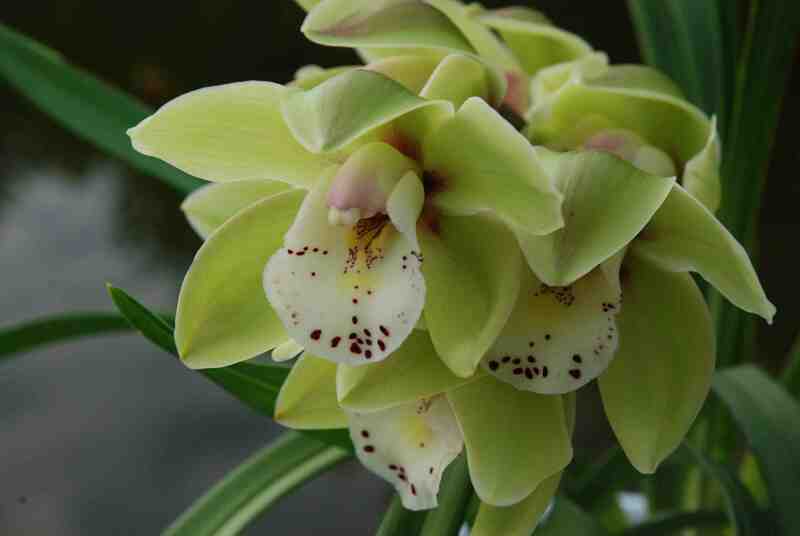 Most people find these orchids difficult or unsatisfactory but that is not the fault of the plant, it is just that most people like their homes warmer than these plants prefer or they place them in a dark corner where they look lovely but won’t thrive. If you have a home with draughty windows and sit there watching TV with a blanket on your lap these could be the orchids for you! Yes I used to work at a greengrocer when i was at school and we sold them.